Dr Rachael Conwell (MRCVS) came to the farm recently and gave an inspirational and moving talk about her work with charities caring for working horses and donkeys in Africa. This includes veterinary care, preventative medicine and education programmes to help the animals remain as healthy as possible. Of special interest is her work with SPANA (Society for Protection of Animals Abroad) and the Gambia Horse and Donkey Trust (GHDT) both of whom provide invaluable education and support to owners to alleviate equine suffering. 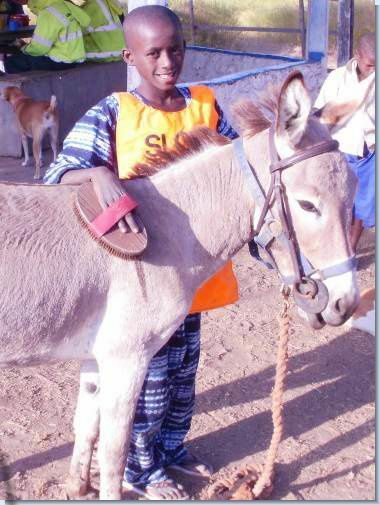 The Gambia Horse and Donkey Trust is currently working in partnership with NFU Mutual to collect donations of old pony headcollars, bits and girths, so if you have any of these unwanted items you can visit your local NFU Mutual branch or support GHDT directly by making a donation to help working equines in Gambia. We would also like to thank Rachael for her continuing support as veterinary advisor here at the farm.